► Are they worth it? In this brave new world of zero-emission electric cars, hybrids seem a bit half-baked. Ex-Nissan boss and father of the electric Leaf, Carlos Ghosn, likened them to smokers who couldn't give up. They're one-or-two-a-day cars, said Ghosn. Only EVs represent total abstinence. Yet I've recently enjoyed driving two hybrids. First was the latest version of the Toyota Prius, the car that began the hybrid upheaval over two decades ago, just as Elon Musk was making his first million in Silicon Valley and bought a McLaren F1 with the proceeds. When the Prius was delivered, Mrs Green and the Three Young Greens were quick with the Uber jokes. Rarely has a car been so typecast. It's true that black Galaxys are nearly always minicabs and Micras are often driven by learners or by old people who shouldn't have licences. But never has one car been so stereotyped. Drive a Prius and you're forever being hailed by people with smartphones in their hands. Mrs Green opined that perhaps there was more money in driving cars than in writing about them. The Young Greens were demanding lifts to see friends, safe in the knowledge that if seen, there would be an Uber assumption. Ubers are cool with millennials. Dad lifts are not. 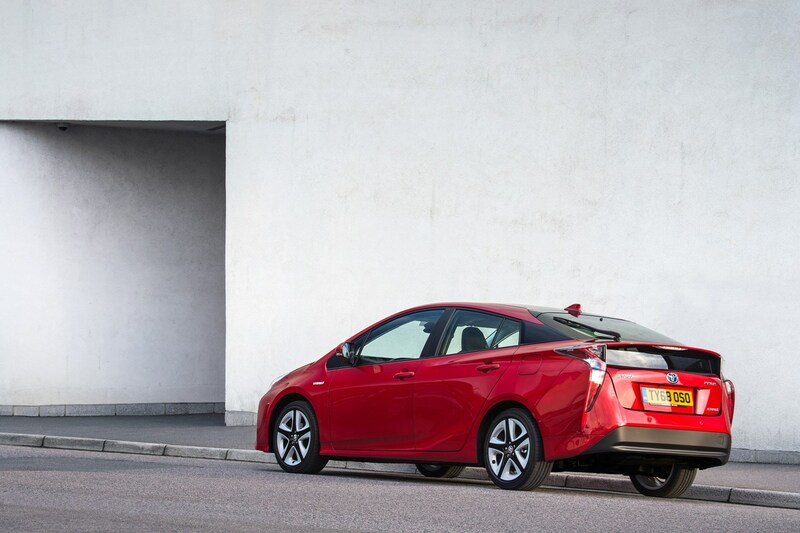 The Prius is one of the world's great game-changing cars. It still feels other-worldly to drive, its silent running is eerily satisfying and some of the design detail is fantastic, not least the eco display and that little ergo-perfect dashboard-mounted gearshift stump. They're also more fuel-frugal in town than similar-size petrol cars. I know this: Muhammad, Olufemi, Samem and Ian, my last four Uber drivers, all said so. I got over 50mpg during my week. Just as impressive, Toyota pioneered radical technology and got it right first time. The Uber boys use Priuses because they're economical – and reliable. 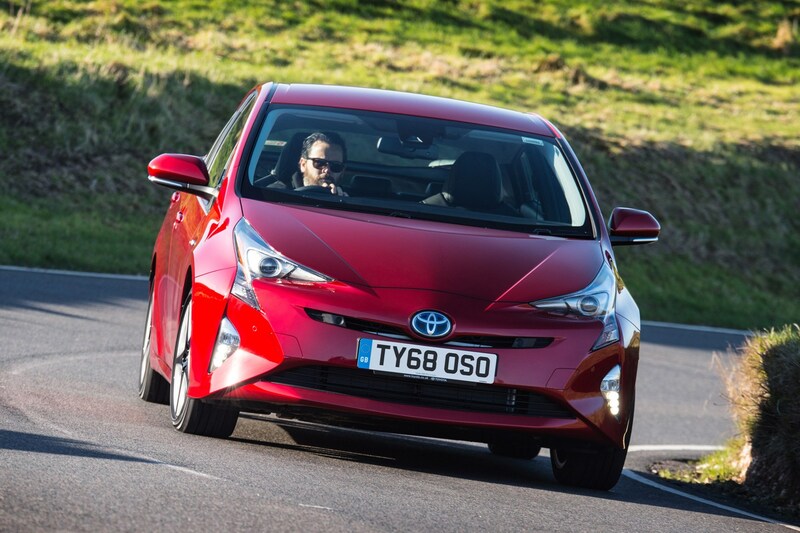 Other car makers now copy Toyota's hybrid system. The Prius went and a BMW i8 Roadster came. This is my favourite modern sports car, partly because it is the most modern. It makes every petrol sportster feel so last-century. It looks space-age sensational, with just a whiff of the classic M1, and has tomorrow's-world tech to complement the looks. The new roadster version looks even better than the hardtop, and it's always nice to be kissed by the sun and stroked by the wind. The latest i8 can do 30 miles or so electro-silently – not long enough, but still pretty special when you're gliding down The Mall – and has a combined 369bhp from its front electric motor and the mid-mounted 1.5 turbo triple. Now, some may wail 'not enough!' and will sniff at a 0-62mph time of 'just' 4.4 seconds. To anyone other than braggards or pro racing drivers, it's quite enough, and perfect for a roadgoing sportster. It's fast enough to thrill, not frighten. Also pleasing is a fuel saving over a similar-performing Porsche 911 of about 30 per cent. Plus the helping-hand electric motor ensures instant and strong throttle response, rather more important to driving enjoyment than 200mph-plus speed claims or frenzied sub-4.0 second 0-62mph times. Supercars are, alas, increasingly being marketed to egotists not drivers. The driving experience is unique. 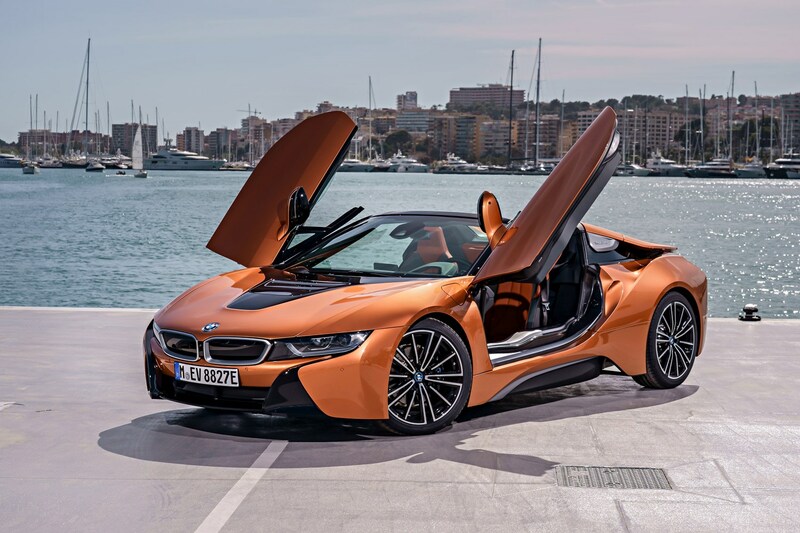 It's part sci-fi, from the various synthesised melodies (including amplified exhaust note), to the silent electro-glide, to the butterfly doors. And it's part old-school analogue, including meaty engine growl in Sport mode, steering sweetness, and the way the car can dance on challenging roads and be controlled by delicate throttle inputs. The comparatively narrow rubber boosts economy and increases feel. There is none of the silly racetrack pretension that blights so many sportsters. It is perhaps the only fast car designed for today's roads – thrilling on a B-road, refined on a motorway, silent and emission-free in town. BMW should perhaps have engineered the i8 as a pure EV, not a hybrid. It would have still been a great drive and probably sold better: BMW may now be enjoying Tesla-style kudos. 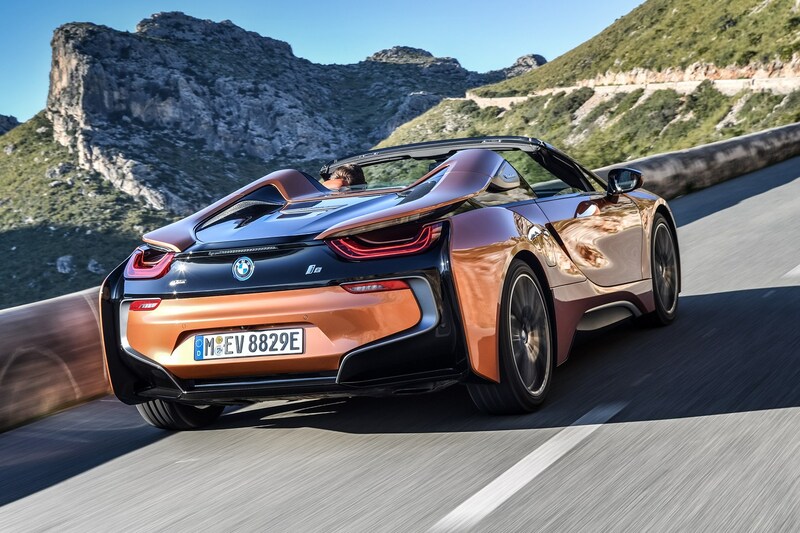 So, like all hybrids, the i8 may be a halfway electric car. Yet it is a multi-faceted machine of real depth and design intelligence, and there are precious few fast cars today of which that is true.